Indoor spinning class in Foxboro, MA is a high-energy, fat-burning workout on a stationary bike, which is set to music. Even though you are technically sitting on a bike, you are actually moving both your upper and lower body in this workout. As your legs move the pedals, your upper body gives you the support to maintain balance and proper posture while cycling. With the rush of feel-good chemicals going through your brain known as endorphins after every workout, you will get in great shape and relieve stress through spinning. In a group cycling workout, there is loud music, special lighting, and weights that contribute to keeping exercisers engaged and motivated throughout the entire class. The basic format is strategically designed to make it an all-encompassing experience at the gym. Being a novice to cycling is fine. There is a graduated learning curve so you can give yourself time while you get the hang of it. But in spinning it is easy and important to listen to your body. You can slow down and then build up speed when your muscles have recuperated. Being a part of a group cycling workout is part of the overall experience in this type of class. Additionally there is a dedicated, licensed instructor who mimics a motivational speaker and drill master, helping you power through the workout. So even if you are a beginner, you will be able to learn and master the cycling workout like a pro. 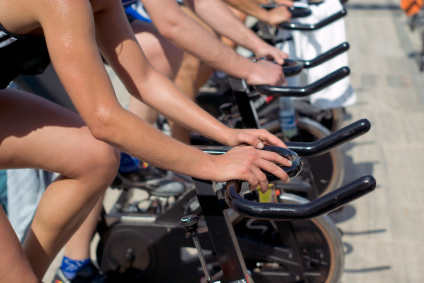 To find out more about the benefits of group cycling workouts, contact Answer is Fitness.